We ship to our out of town customers on a daily basis. We can ship all your favorite treats from Lamejun to turnovers to even your favorite feta cheese. All our food is shipped via UPS and prices vary with each delivery zip code. Please keep in mind any perishable food items need to be shipped in a 16”X14”X11” cooler box with gel ice. 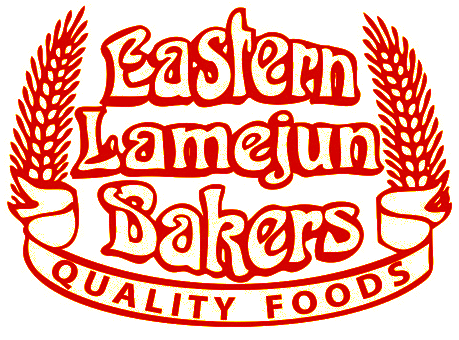 Eastern Lamejun recommends all perishable food items in coolers to be shipped UPS Next Day Air if ground shipping to your area takes longer than 48 hours. However Next Day Air is ideal in all deliveries. 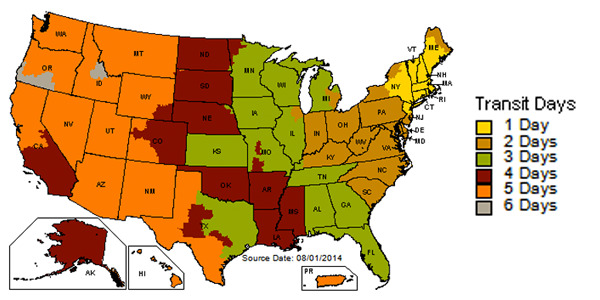 UPS ground shipping map is provided to assure appropriate timely deliveries. Please browse our online store and submit your order. Please contact us for any additional questions. *Food in cooler stay maximum 48 hours. **Gel Ice cost included in price of cooler.